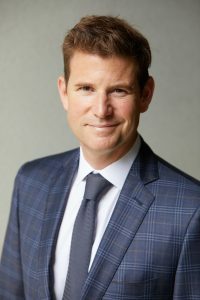 February 11, 2019 — Brent Jackson, President of the Dallas-based investment, development and asset management company Oaxaca Interests, has been selected as a finalist for D CEO magazine’s Developer of the Year Award. Launched in 2013, D CEO’s Commercial Real Estate Awards program recognizes outstanding commercial real estate projects, deals and industry players. “Seeing our efforts to enrich Dallas’ urban core, by way of shining a light on West Dallas’ vibrant, family-centric neighborhood is rewarding in and of itself. To be recognized as one of the top developers in the region for that work makes it extra special,” said Brent Jackson, whose company has developed multiple projects in West Dallas, most notably Sylvan | Thirty. According to the magazine’s editor, stiff competition made judging difficult, but 51 projects and dealmakers stood out. The 2019 Commercial Real Estate Awards named finalists in 16 categories, including five awards presented to outstanding individuals. Winners will be featured in the April issue of D CEO. Oaxaca Interests, LLC, is a Dallas-based real estate operator, developer and investment firm. Oaxaca is a privately-funded company acting as a fund manager for several real estate funds. Oaxaca’s focus has been and continues to be on the Urban Core of key high-growth in Texas Markets, including Dallas, Fort Worth and San Antonio. Its goal is to improve the surrounding area and positively contribute to each community.